To evaluate salivary adiponectin and adenosine deaminase (ADA) in women suffering from Sjögren’s syndrome (SS). 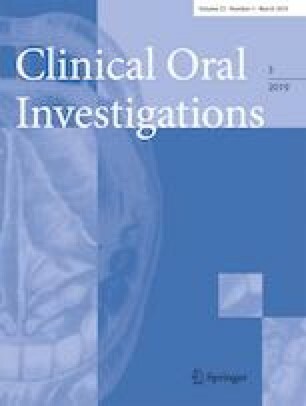 Salivary adiponectin and ADA were measured in patients with SS (n = 17) and compared to their values in healthy controls (n = 13) and patients suffering from drug-induced xerostomia (non-SS sicca group; n = 19). A clinical history was made for each patient, patients were examined clinically, and xerostomia inventory (XI) was performed. Salivary adiponectin corrected by total protein was higher in patients with SS than in healthy individuals (P < 0.05) or patients with non-SS sicca (P < 0.01) and correlated with XI (r = 0.555; P < 0.05). Salivary ADA was higher in patients with SS and non-SS sicca compared to controls (P < 0.05 in both cases). The results of the present study indicate that adiponectin and ADA are increased in the saliva of patients with SS. Salivary adiponectin corrected by total protein can be a potential biomarker of SS. AT was financially supported by the Program “Juan de la Cierva Incorporacion” of “Ministerio de Economia y Competitividad,” Spain, through a post-doctoral grant. AT, PLJ, FT, and SMS designed the study; PLJ, FP, and CZ collected the samples; AT, FT, and SMS analysed the samples; AT, PLJ, FT, and SMS analysed the data; AT, PLJ, FT, and SMS drafted, revised, and approved the manuscript.